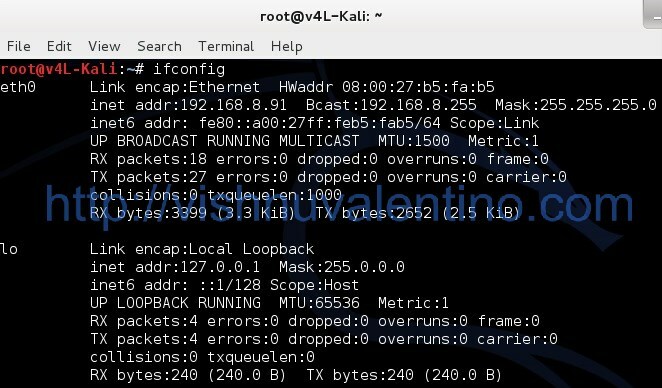 You are here: Home » Tips and Trick » How to Enable the Network in Kali Linux Virtual Box? 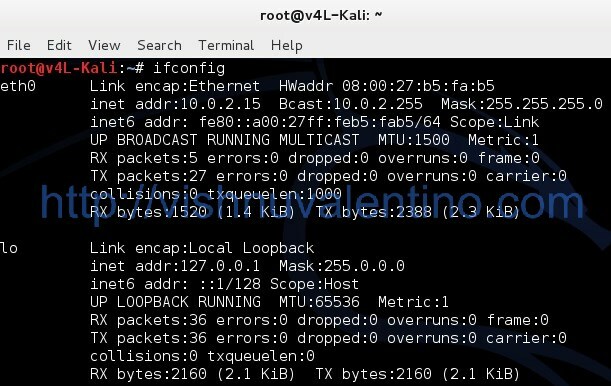 How to enable the network in Kali Linux Virtual Box, I brought this simple tips and trick, because some users asking about it, because by default some of the Virtual Box when you try to connect to the internet maybe it can’t. This is the preview of my ip address before I make some change. 1. Open your Kali Linux Virtual Box like this. Click “Devices” menu and choose “Network Adapters“. 2. Now the new window to set up the Kali Linux Virtual Box will open. 3. By default the network adapter is attached to NAT. You need to change it to Bridged adapter. 4. The next step you need to choose which network interface you want to bridged to. If your network interface have more than one (e.g: 2 LAN port, 1 wireless, etc) it will show here. Just choose which network interface you want to bridged to. Because the one connected to internet is my wireless card, then I choose wireless network adapter. 5. After I make the change, I get the IP address directly from the network not from the Virtual Box adapter. Here is the result. 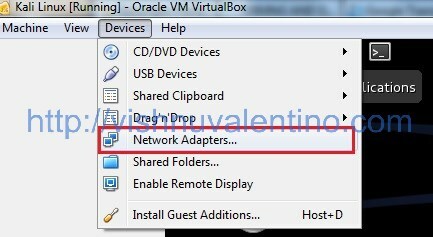 Your default wireless network cannot be used while you are using Virtual Box. If you want to use wireless network in your Virtual Box, you can use the wireless usb card, then the virtual machine can detect it.